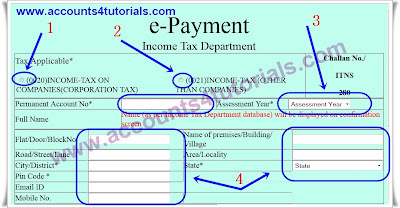 Home Income Tax Pay Income Tax through online. 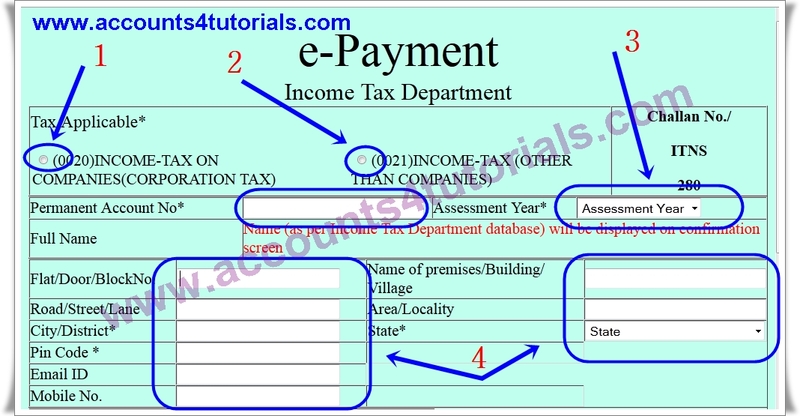 Pay Income Tax through online. 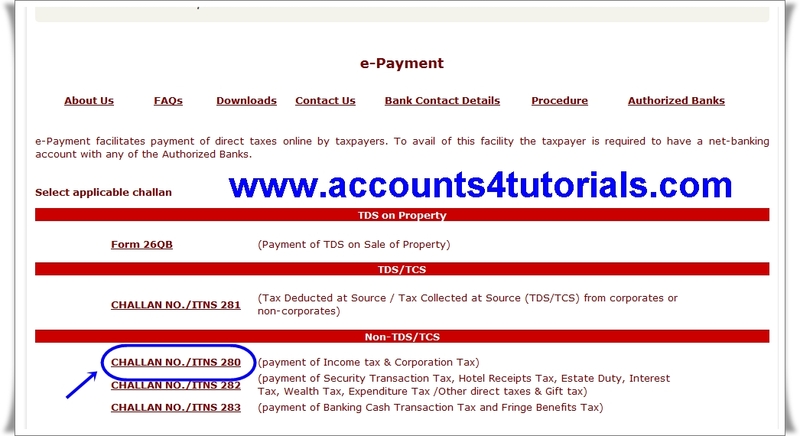 Pay direct taxes online through the e-tax payment system of the Income Tax Department. 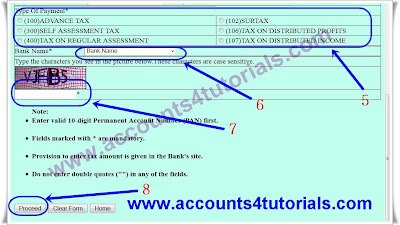 To avail of this facility, the taxpayer is required to have a net-banking account with the Authorized Banks. 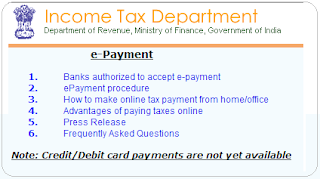 Get information about e-payment of taxes, bank contact details, authorised banks, procedure of e-Payment, challan for e-payment, etc. 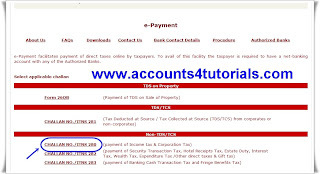 Users can select appropriate challan and pay TDS on property, tax deducted at source, tax collected at source, security transaction tax, hotel receipts tax, estate duty, interest tax, wealth tax, expenditure tax, other direct taxes, gift tax, etc. Instant transfer of funds from your account. You can pay taxes from any location at any time through your net-banking account. What you write on the e-challan will be directly sent to Income Tax Department. 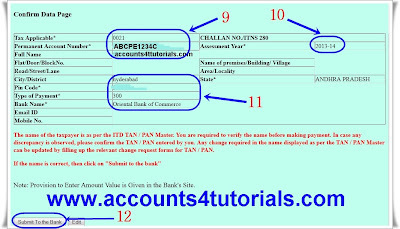 Banks will not do any data entry. You can save/print the challan copy and the receipt copy. As soon as your Bank authorizes payment of the amount, youwill receive a clear, legible receipt/counterfoil from your Bank. 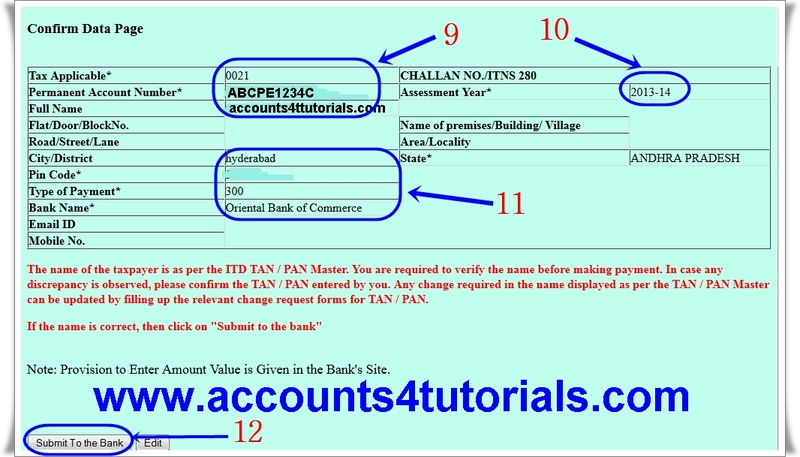 Transaction id of the e-payment transaction will be available to you in your bank statement. 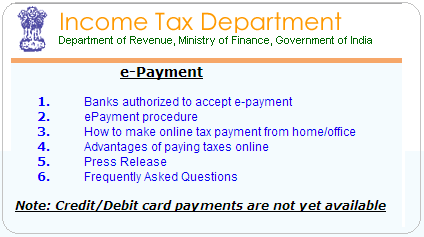 You can check online if your money has actually reached the I-T Department. Now you will get the following screen. 7) Enter the characters you see in the picture above. Just verify your company/your name etc. If everything is correct then click on "submit to the bank" button. 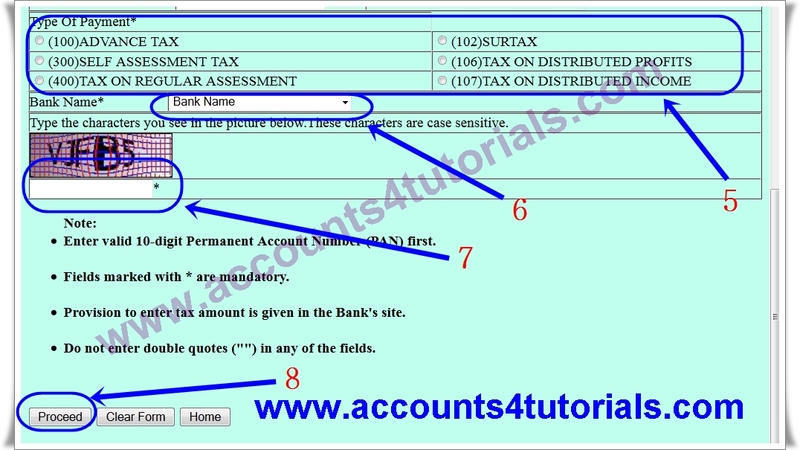 Enter Net-banking UN & PW and follow next steps as per your banks requirements.